This 550 sq. ft. master bathroom was completely gutted and renovated to achieve an open, airy, and completely luxurious look and feel. Though the space was sizable from the get-go, the layout was impractical, disjointed and did not take advantage of any natural light. 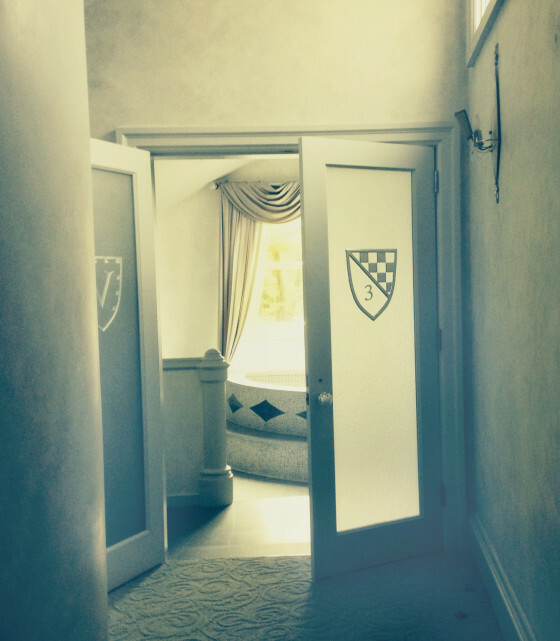 Furthermore, the previous homeowners had hired an artist to paint the interior to resemble a medieval castle. 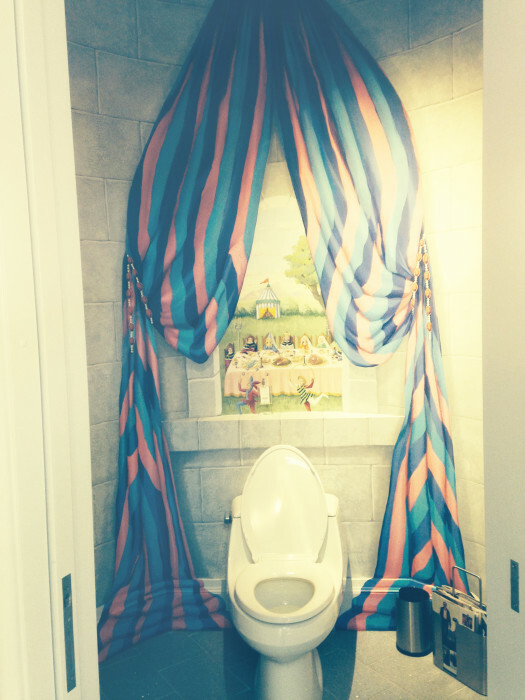 My clients desired a departure from this whimsical aesthetic to a contemporary, open, and spa-like master bathroom where they could truly relax and enjoy their time in the space. I collaborated with an architect to completely redesign the floor plan, then I got to work on creating the master bathroom of their dreams! Brand new millwork, including vanities, built-ins and cabinetry. 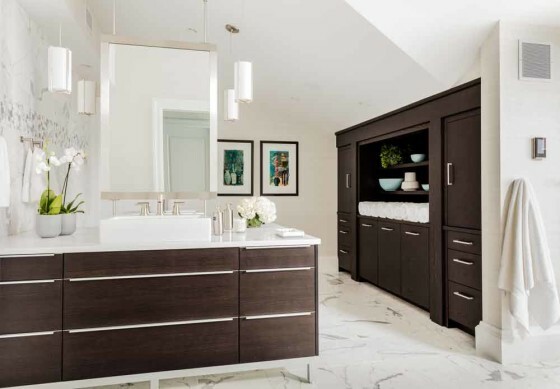 I designed and installed brand new millwork, including airy vanities, built-ins, and plenty of storage to help maintain the space’s open, uncluttered feel. Task lighting at the vanity. A new lighting plan helped make the most of the updated layout’s ample natural light, while task lighting by the vanities improved the function of the overall space. 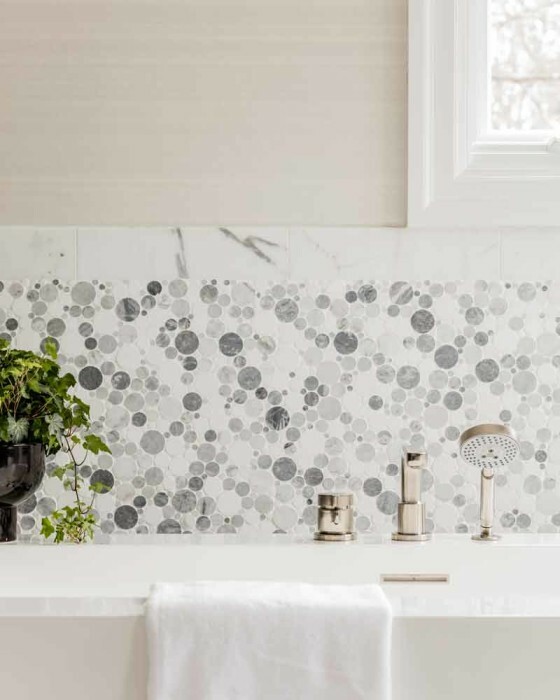 Mosaic tiles in a playful pattern. Sleek stone and more mosaic tile in the shower. 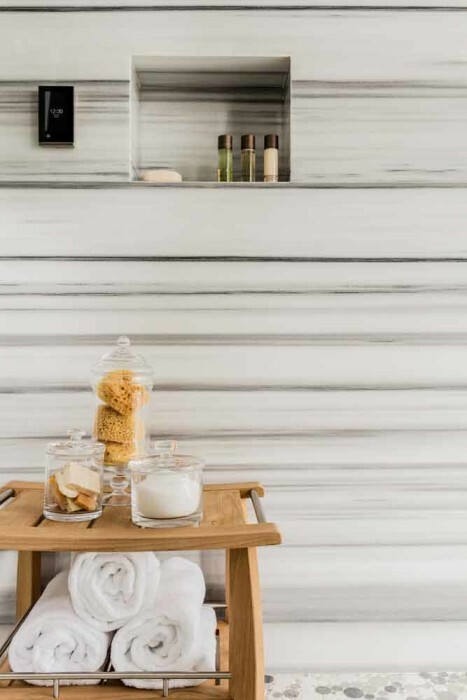 Custom tile and stone installations throughout added a fun yet elegant touch without detracting from the serenity of the space. Last month, this design won Two Gold PRISM Awards for 1) Best Bathroom Remodel and 2) Best Living Area – Bathroom – in a private residence. 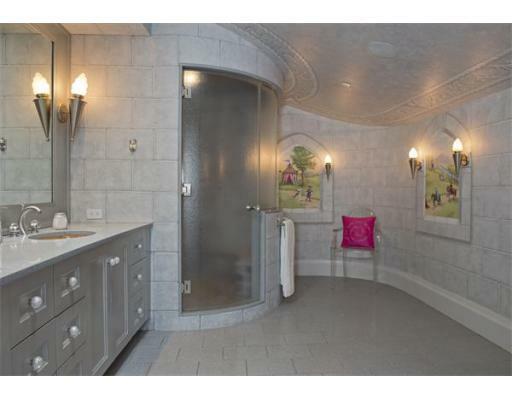 I’m so proud that this design was recognized by the Builders and Remodelers Association of Greater Boston, but even more than that, I’m thrilled that I could work with my clients to help them make their dream bathroom a reality. It was no easy undertaking, but the result is a beautiful space that they’ll be able to enjoy for a long time to come. 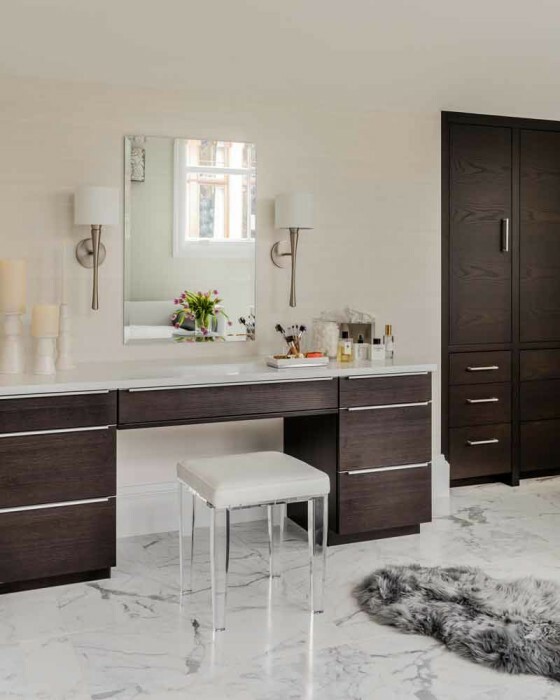 Designing luxury bathrooms is one of my favorite types of projects, and it’s always so rewarding to transform my clients’ ideas into a beautiful new space. If you’re feeling inspired by this renovation and would like to schedule a consultation to discuss an upcoming project, please reach out to me at lesliefine@lesliefineinteriors.com or 617-236-2286.